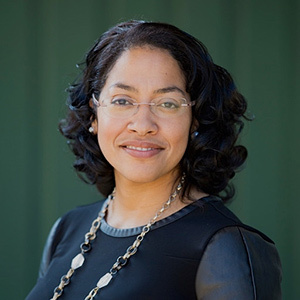 Crissy Cáceres, an educational leader with over 20 years of experience, is the Assistant Head of School at Georgetown Day School (Washington, DC). Along with additional responsibilities, in this role, Crissy works to ensure that all student academic and social emotional support efforts are effectively aligned and coordinated within and between divisions. She also directs all school efforts connected to every constituency in the areas of Diversity, Equity and Inclusion, ensuring that these vital components of the school’s mission remain central to the daily lived experience of GDS students, faculty/staff, board, and families. Previously, Crissy Cáceres was Head of Lower School at Abington Friends School (Abington, PA) and Assistant Head of Lower School at Episcopal Academy (PA) where she also began her independent school teaching career. Crissy Cáceres was a long-time member of Call to Action, an NAIS think tank devoted to social justice efforts nationwide, and she is a faculty member at the NAIS Diversity Leadership Institute. Ms. Cáceres has served as a Middle States Accreditation Commissioner, co-chaired the People of Color Conference in Philadelphia, served on various leadership associations, and has partnered with schools and organizations nation-wide as consultant, presenter, and facilitator on various school leadership, social justice, and school culture and student engagement topics. Her areas of specialty include Intercultural Conflict Resolution, Participatory Leadership, Effective Community Building, Curriculum and Program Development, and Leadership Coaching and Success. Ms. Cáceres earned her Master’s Degree in Educational Policy and Leadership from the University of Pennsylvania and graduated with a B.A. in a self-designed major in Urban Policy and Education with a minor in Psychology from Wellesley College. At her core, Crissy Cáceres embraces the values of a joyful, experiential, equitable, and comprehensive education for all. She also loves to salsa dance, cook, and spend quality time with her husband and three daughters. Copyright 2016 Future of Diversity Symposium.